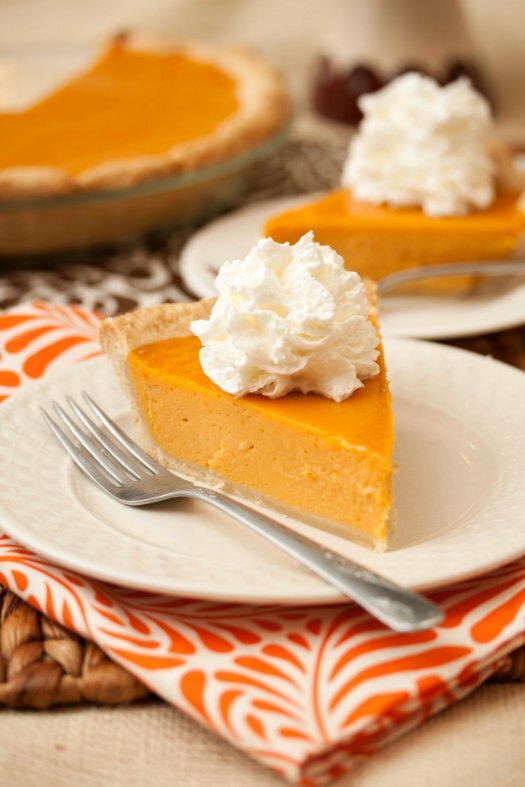 We at Homemade Recipes have prepared a list of Thanksgiving sweet potato recipes just for you! These sweet potato dishes will fill your home with the scent of a joyful holiday. If you’re going to round up all the must-have food for Thanksgiving, a lot of Thanksgiving sweet potato recipes will always pop up on the list. Well, this makes sense because sweet potatoes (along with roasted turkey, of course!) are a staple of a traditional Thanksgiving dinner. Not only are sweet potatoes quick to cook and inexpensive, they have many health benefits as well. They can be a healthy comfort food, a delightful dessert, or a hearty side dish for Thanksgiving. 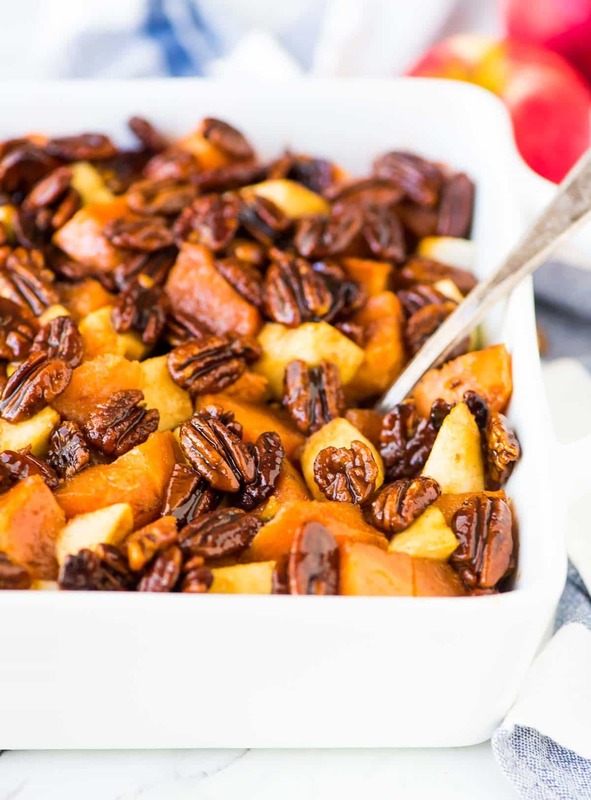 Check out all of these Thanksgiving sweet potato recipes! Ramp up your Thanksgiving menu with these delicious mashed sweet potatoes by Natasha’s Kitchen. 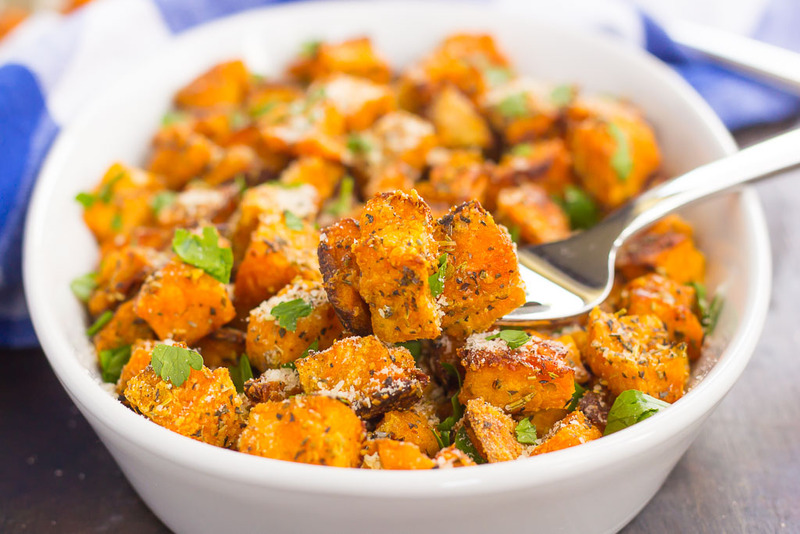 This is the easiest sweet potato dish you can make on Thanksgiving! You just need to boil the potatoes along with onions, bay leaves, garlic cloves, and salt. When the potatoes are soft enough, mash them while adding butter and sour cream along the way. A traditional Thanksgiving side dish in every home, sweet potato casserole always gets everybody’s approval. It’s a sweet and tasty side dish thanks to the perfectly toasted marshmallow topping. This recipe by Flavor Mosaic is truly a must-try! Looking for the perfect sweet potato dish to bring to your Thanksgiving gathering? 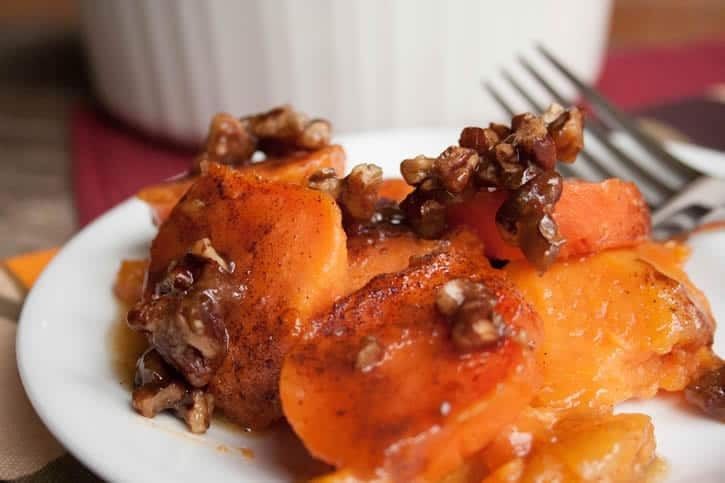 These glazed sweet potatoes with whiskey pecans by Erin over at Well Plated will be a blockbuster dish to impress everyone. It’s a sweet and nutty dish with a mild tangy kick. Roasted vegetables never go out of style, at least for a veggie lover like me! Vegetables like sweet potato aren’t that hard to love, you just need the right recipe. And in the spirit of Thanksgiving, we’re truly grateful to have hunted down this roasted sweet potato recipe by Pumpkin ‘n Spice. This toasted marshmallow sweet potato ice cream by Ari’s Menu is the perfect Thanksgiving dessert. But it can definitely be your go-to homemade frozen treat any time of the year! The recipe we’ve chosen from Cafe Delites is a healthy and filling cannelloni dish, stuffed with beautifully flavored turkey, so smooth with sweet potato and good-for-you kale. If you’re looking for a healthy and hearty dish for Thanksgiving, this should be it! A basket filled with these warm sweet potato rolls by Olivia’s Cuisine will make a great offering to your guests at Thanksgiving. These rolls are the best way to say “hello” to everyone and make them feel so much more welcome. Enjoying these rolls fresh out of the oven is the ultimate bread experience. What makes this sweet potato pie by A Bakers Wife extra special is the layer of coconut and chopped pecans on top. It’s a wonderful combination that adds the perfect flavor and texture to your sweet potato pie. These sweet potato pie bars by Giraffes Can Bake are the classic desserts you must serve for special dinners! The streusel topping and marshmallow glaze make the pie bars even more appealing. If you’re planning to try these bars on Thanksgiving, be sure to make an extra batch because these will disappear as soon as you put them on the table. Switch things up a bit this Thanksgiving! Pumpkin pie is always a safe bet, but whipping up Tide and Thyme’s delightful sweet potato pie will also be perfect for the special day. This is a no-frills Thanksgiving dessert everyone will surely fall in love with! Thanksgiving will never be complete without delicious and warm biscuits. 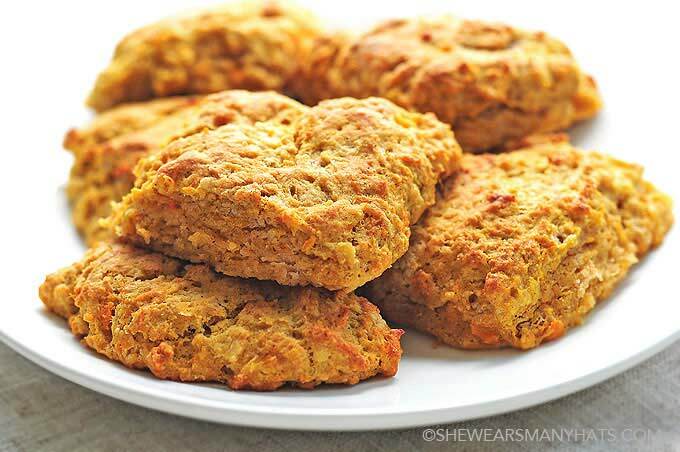 This recipe by She Wears Many Hats for sweet potato biscuits is simple and good to go in as little as 30 minutes. It’s so easy it inspired us to make this for our guests this year. A plain baked potato can be a stand out Thanksgiving dessert once you add a sweet glaze infused with refreshing orange juice and a hint of some orange zest. When making this dessert by The Merchant Baker, don’t forget to add the chopped-up candied pecans and a dash of cinnamon for more outstanding flavor. 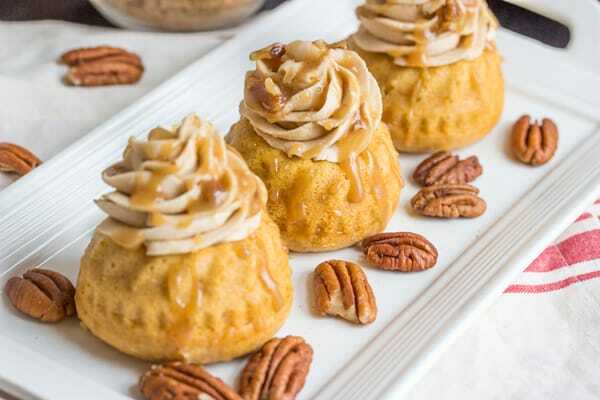 Prepare yourself for this moist sweet potato bundt cake by Tornadough Alli. Topped with maple buttercream and pecan, this decadent dessert is a pure indulgence during the holidays. These twice baked candied sweet potatoes by Homemade Hooplah look extremely good, don’t they?! Very tempting and delicious, this dessert will surely be a huge hit at your Thanksgiving party. If you’re planning to shake up the way you serve sweet potatoes this year, try one of the Thanksgiving sweet potato recipes on this list and get ready to get creative in the kitchen come Thanksgiving. The dishes we featured are not only delicious, but they are also easy to prepare as well. After trying these sweet potato recipes, you’ll never eat sweet potato the same way again. What do you think of these Thanksgiving sweet potato recipes? Which recipes are you planning to try? Share your experience with us in the comments section below. Editor’s Note – This post was originally published in November 2016 and has been updated for quality and relevancy. Thanks for the link love! That sweet potato ice cream looks amazing! Thank you for including my recipe in your list! I just wanted to let you know though that the photo you have included with the recipe is not of my sweet potato pie bars! Whoops! Sorry for the oversight and we will most certainly swap it out! Simply just wanted to point out I’m thrilled I happened onto your site!.